The pendant (MSP3199/GBT) includes a 4ctw Cushion Stone. The earrings (MSE3095/GBT) include an 1.5ctw Cushion Stone in each earring. The ring (MSR3199/GBT) includes a 4ctw Cushion Stone. 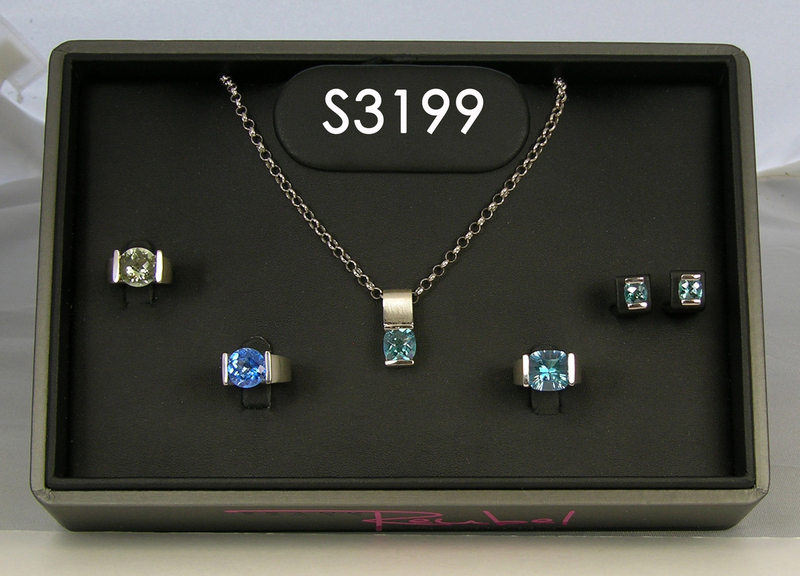 The additional rings are shown in Green Amethyst and Kashmir Blue Topaz, a Frank Reubel Designs Signature Stone.